Aiden Moffat and Laser Tools Racing have announced that they will again team up with Ciceley Motorsport for the Dunlop MSA British Touring Car Championship in 2016. 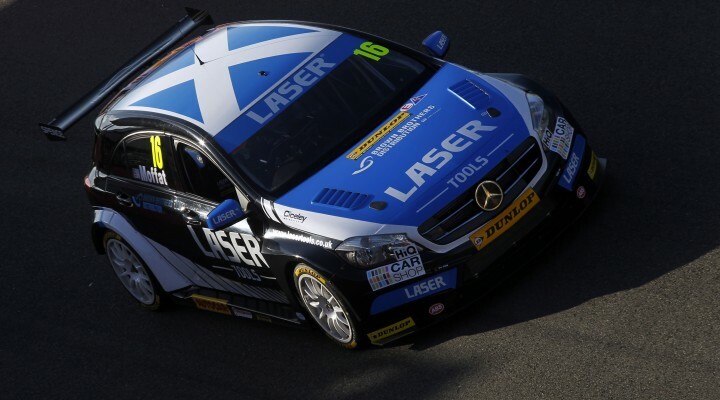 The 2015 partnership yielded considerable success, the highlight being both Ciceley-prepared Mercedes-Benz A-Class drivers Moffat and Adam Morgan starting on the front row of the grid at Knockhill with both drivers finishing on the podium. Aiden also secured his first Independent win at Donington Park and is now a serious contender. This continued joint venture hopes to put young guns Moffat and Morgan in the championship hunt when the 2016 season kicks off in April.